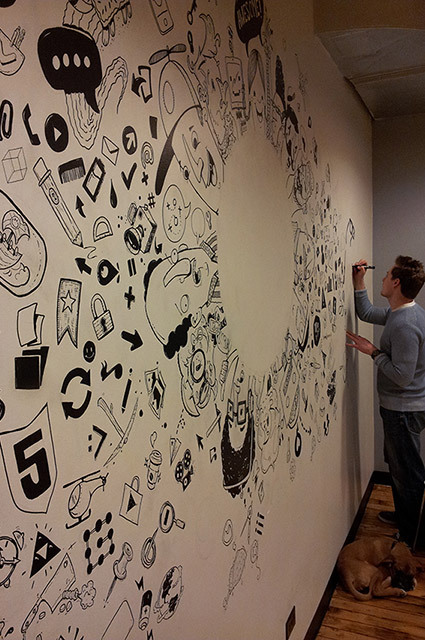 This Month's Lunch & Learn: Making Comics? Everyone has a pet project that may either devour many an evening here, a weekend there, or perhaps has become a full-time commitment. Max Bare from the VOKAL design team falls into the semi-committed category. 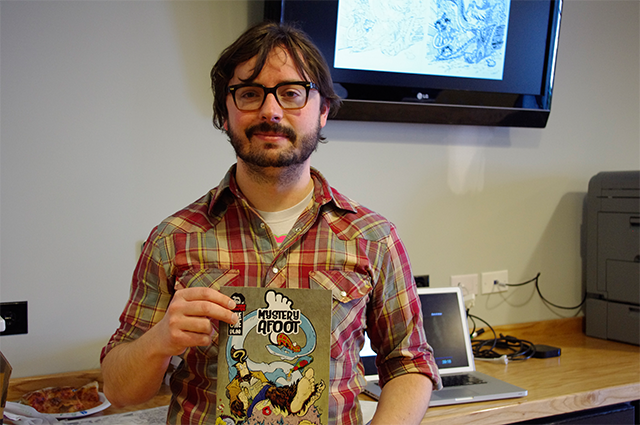 For this month's Lunch & Learn, Max shared with the VOKAL fleet, his topic: Hope to Create Comics. Referencing his personal project Mystery Afoot. We tend to immerse ourselves in many of our projects here at VOKAL and the offices themselves are certainly no exception. In the continuance of this effort, the VOKAL design team has been taking a periodic evening or weekend to work on an ever expanding mural. Last night, VOKAL designers Joe Call and Max Bare along with Andrew Thompson (VOKAL friend and member of OhNo!Doom) took a couple hours to continue the doodling. 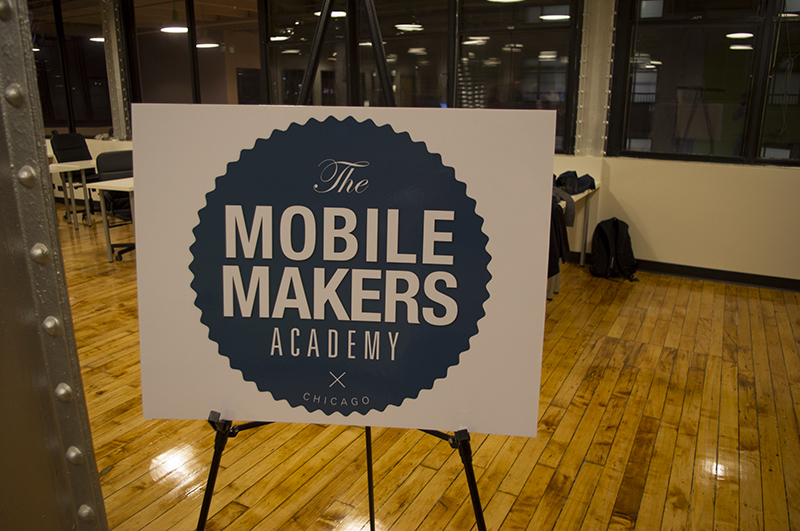 Last week The Mobile Makers Academy celebrated the End of their Fall 2012 Semester with what else but a night filled with pizza, libations and good times. The mixer was hosted at VOKAL's shiny new 4th floor expanded offices. 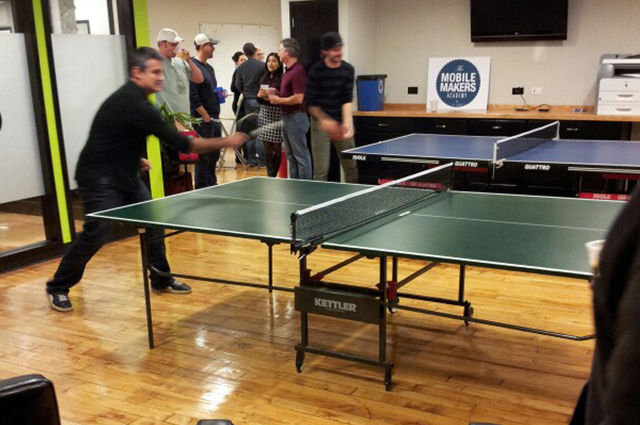 Last night was the first (of hopefully many) Building-Wide Ping Pong Tourney, this time hosted at VOKAL offices. Drinks were consumed, folks were mingling and competition was of course furious (and sportsmanly). Below are some epic highlights of epicness. Happy Halloween from the VOKAL family!!! Today was "Dress Up Like Andy (Don't Tell Andy) Day", Doppelgängers abounds at the VOKAL office this morning, as we paid homage to director of business development, sales guru and all around swell guy, Andy Mack much to his surprise! Peep the call-out for the real McCoy. New VOKAL Office Under Way! Exciting developments! The expansion of VOKAL Interactive offices is well underway. A day of drywalling going up and overhead lights customized to VOKAL green. Soon we'll have another floor for our ever-expanding ranks of designers and engineers. It always rewarding when you get to wrap up a project. It is even better when the project you are wrapping up is for Humanoid, and their way of saying thank you is to send over a brand new Humanoid Wakeboard!! For this weeks Mobile Moment, we are joined by Nick Ross, Vokal's Project Manager and mobile testing Guru. Nick gives a high level overview of how testing should be approached when it comes to mobile development. Mobile software development comes with it's own interesting hurdles—you don't typically have to worry about losing your network connection when you are visiting a website on your PC, however this is the expectation on a mobile device. 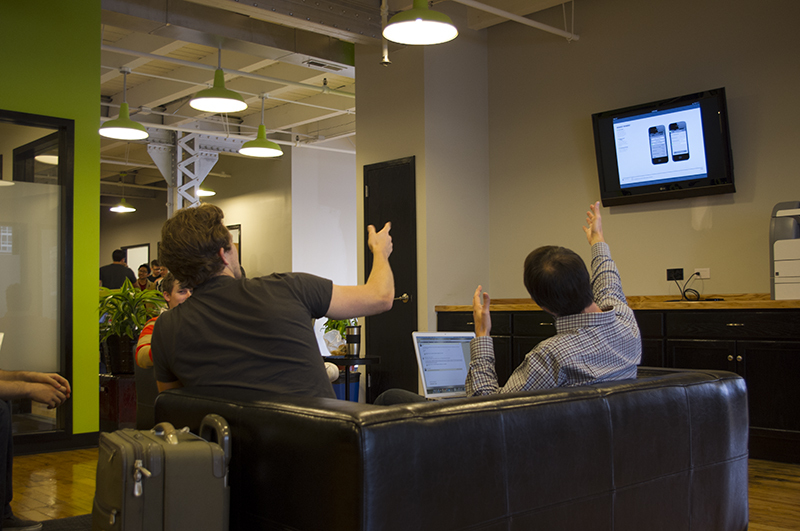 We pride ourselves on our testing strategies and extreme diligence for creating high quality mobile software.